What can I do? I’m only a kid! I’ve been thinking about it. And I think there are lots of things you can do to reduce waste even if you’re under 19. Here are some ideas to get you started. You don’t have to do everything; just start with what works for you! 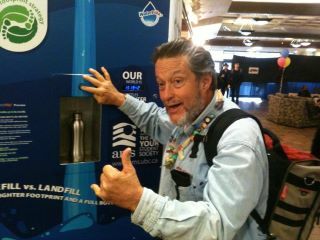 Carry a stainless steel water bottle and vow never to buy bottled water again. Look on your municipal website to see what can be easily recycled where you live. Then talk to your family and set up recycling bins in a convenient place in your home. Focus on one thing. Pick one thing that you can live without (plastic bags, paper napkins, disposable cutlery) and start avoiding it today. Once it becomes easy, then add something else. If you’re a female, try reusable feminine hygiene like a menstrual cup or cloth pads. 1. Start Composting (this is a big one, so do it as a group, and talk to your administration and teachers to get help if you implement). The Students at Windermere Secondary in Vancouver have a large composter and even have a Zero Waste Committee. Check it out here. 2. 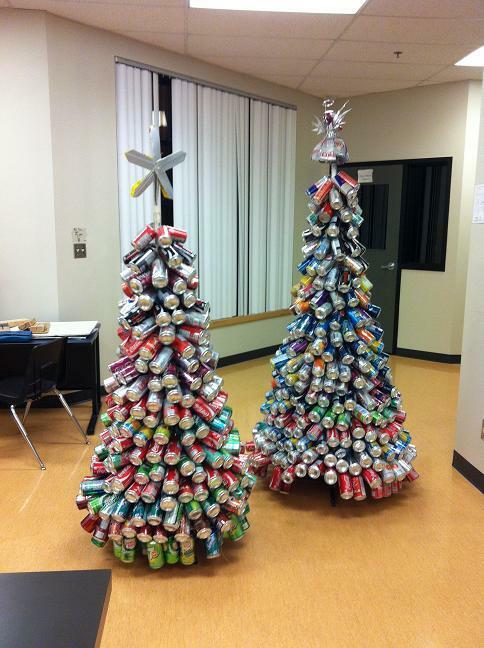 Make recycling at school easier. The shop students at Charles Tupper Secondary in Vancouver made attractive wooden recycling bins with three compartments to have in school hallways. Homma Elementary in Richmond has great posters reminding people to recycle and compost. 3. Try your own challenge. The students at UBC Commerce Environment Club decided to carry all their garbage with them for a week to draw attention to how much they produced. They said it automatically made them make better packaging choices. 3. Do something at school to draw attention to garbage. When she was just 16 Michelle Arsenault of Dryden, Ontario started the website http://www.onelessplasticbag.ca/ to help her community reduce plastic bag use. UBC Students got a waterbottle refill station installed to help people cut down on buying plastic water bottles. This is such a great post! It’s a positive response to such a difficult question that our kids are asking us. I’ll be sure to pass it on. Seriously?! A water bottle refill station? Apparently I have several in my own house already installed. It’s called a tap. In a country where we can safely drink tap water, it completely escapes me why people need to pay money for plastic bottles full of something that is free from the tap. Getting rid of plastic bottles is only half of the problem. Society still has a long way to go in overcoming it’s addiction to bottled water. First the bottles, then the water…. Alright, yes, I agree, that water bottle refill station seems ridiculous, but here’s the deal. First, the students at UBC installed tall faucets on their water fountains so people could fit their (hopefully stainless steel) water bottles under to refill . . . but nobody used them! Then they installed this fancy, eye catching water bottle refiller (which just runs regular tap water through a filter), and all of a sudden people were on board. I wonder if they just had fancy signs around the original water fountain, if that would work too? You highlight how crucial good marketing is. I have worked in an office where the water coolers looked like your regular kind: white pedestal with little blue spouts, and the transparent blue water container inverted on top. My first day in the office, I noticed there was one extra feature – plumbing! A very small diameter pipe refilled the big water container with “regular” water from the building. Not sure if this water dispenser had some sort of filter, but essentially it was just providing cold water in the form that people preferred. That is the only time I have seen such a device. This is a great post with some excellent ideas on how to live zero waste. This just goes to show that living a greener lifestyle can start at even a young age, and all of this will help out our environment in the long run. We provide recycled paper products so we support and encourage people to live with as little waste as possible. Yes, those are such a great idea to start! Except that, I think as a teenager we can with other students in school to organize and create a “green activity” with our school. The way would be more easier as the support by school. So I think the contents of the activity would be encourage student to do the things above and put everything can be recover into the recycle. And the award of it is if the recycle bin which around your homeroom, the time of full of this recycle same or more than the year reward standard, then all the students in these homeroom can get 8% GPA over the whole grade! I think that would makes students more sustainable. Nothing like the promise of good marks as an incentive! 8% might be a little much though 😉 Would love to hear if your school follows through with some type of zero waste project! Yes to all of these tips! I have recently brought composting into my household and my parents have taken surprisingly well to it.